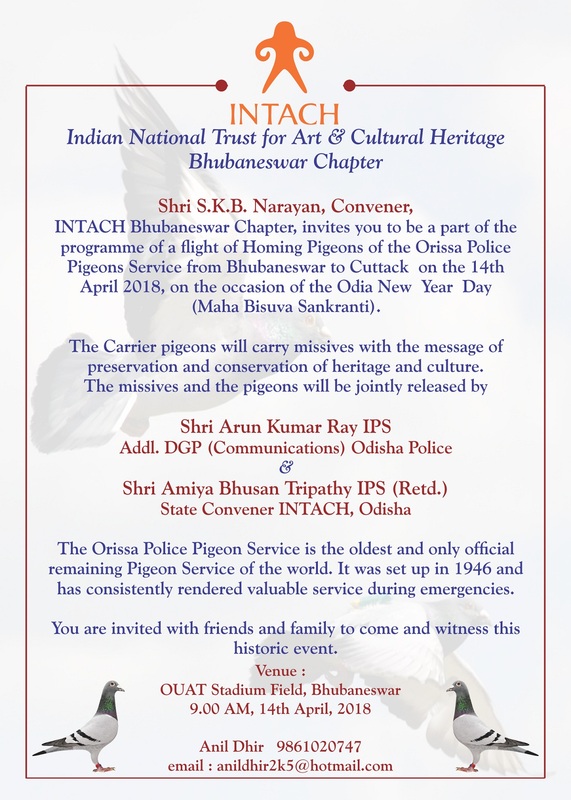 The Indian National Trust for Art and Cultural Heritage (INTACH) Bhubaneswar Chapter is organising a programme of a flight of Homing Pigeons of the Odisha Police Pigeons Service from Bhubaneswar to Cuttack on the 14th April 2018, on the occasion of the Odia New Year Day (Maha Bisuva Sankranti). The Carrier pigeons will carry missives with the message of preservation and conservation of heritage and culture. The missives and the pigeons will be jointly released by Shri Arun Kumar Ray IPS Addl. DGP (Communications) Odisha Police and Shri Amiya Bhusan Tripathy IPS (Retd.) State Convener INTACH. The Pigeons will be released from the OUAT Stadium Field at Siripur Chakk, Surya Nagar, Bhubaneswar at 9 a.m. The Odisha Police Pigeon Service is the oldest and only official remaining Pigeon Service of the world. It was set up in 1946 and has consistently rendered valuable service during emergencies. 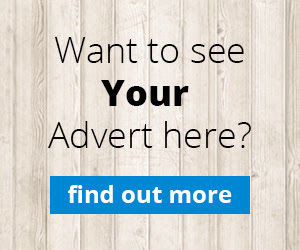 The Odisha Pigeon Service has featured many times in channels like Discovery Channel, National Geographic, BBC and other agencies. This is a historic event and will be attended by many children.